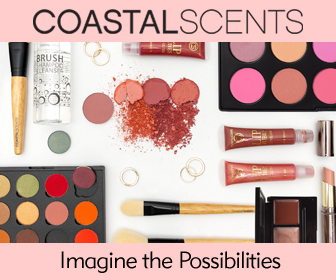 Coastal Scents is one of my favorite makeup brands so I am really excited to be partner with them! 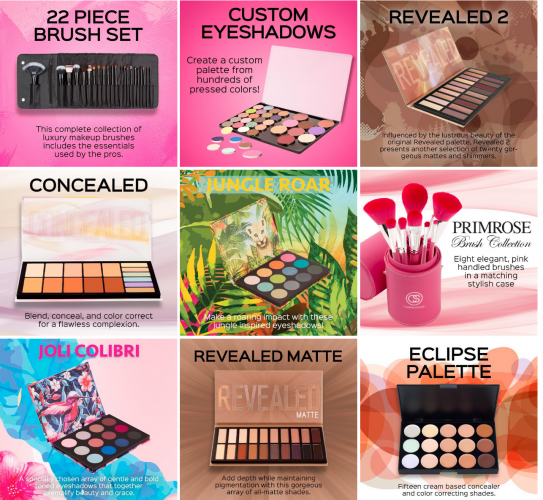 It has over 20 eyeshadow palettes and over 300 shadow pots, all super pigmented… From satin textures to matte or shimmery, there’s no way you can’t find your color ! And don’t get me started on all their other products like lipsticks, blushes … aaaaah ! I also really like the fact that you can purchase empty palettes and just pick exactly the colors you want. Because how many of you have purchased palettes only to use one or two of the colors in it? 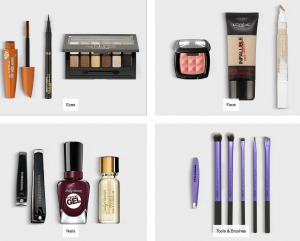 lol… well with the empty palettes you’re going to save money and have a lot more fun ! That being said I will stop boring you and let you explore this beautiful and affordable brand! 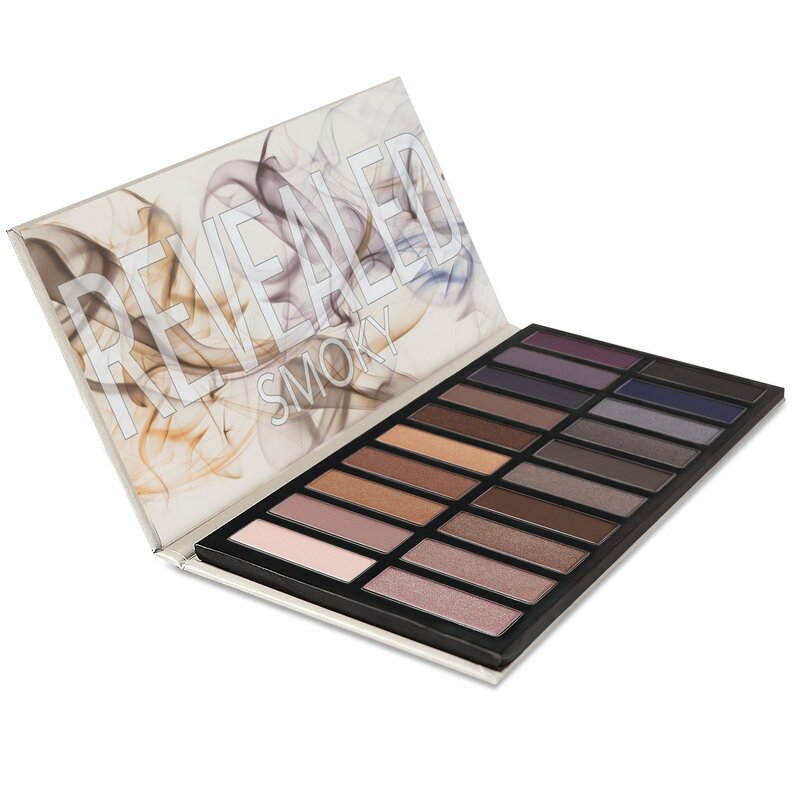 The Revealed Smoky palette features twenty sultry, smoldering eye shadows, in a stunning variety of hues and textures. Where there’s smoke, there’s fire! Make a roaring impact with these jungle inspired eyeshadows! 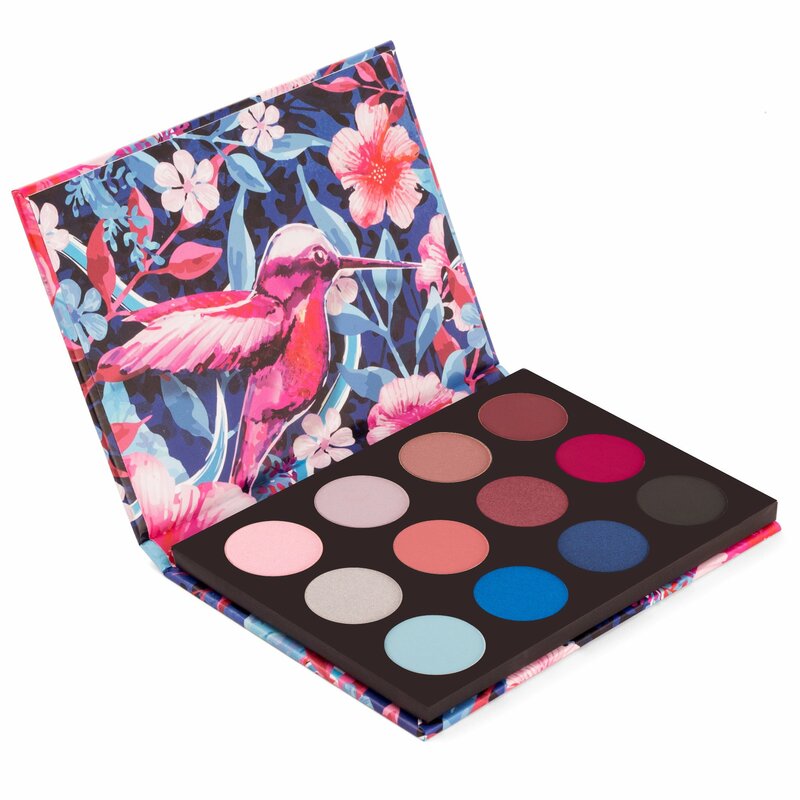 From neutral blues and greens to vibrant orange and pink shades, this amazing palette offers a wonderful combination of shadows for your next adventure. Apply shades either dry for a subtle look or wet for a more intense color effect. 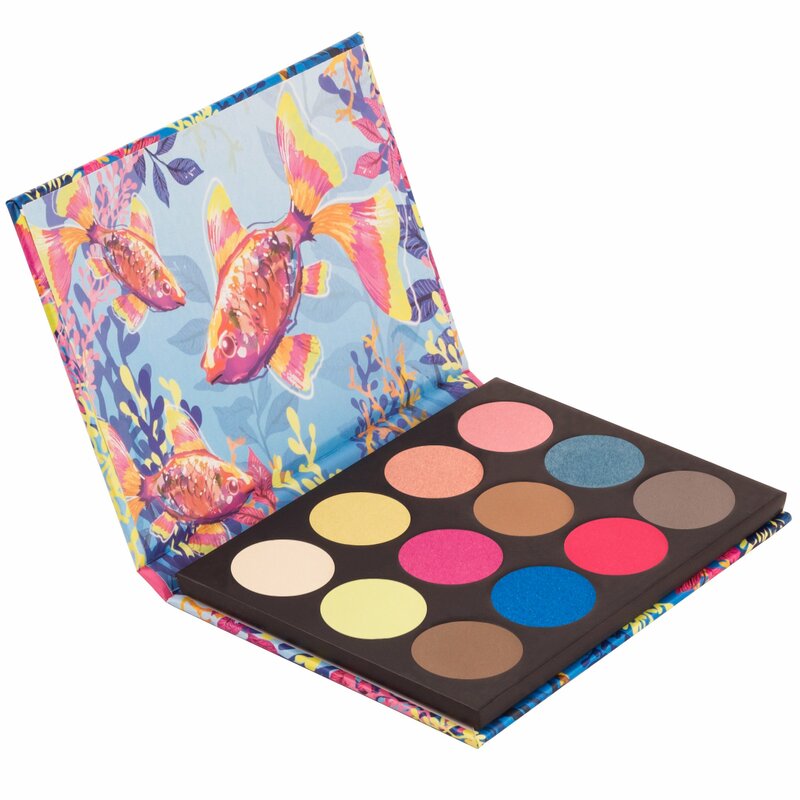 Twelve vibrant eyeshadows inspired by a colorful oasis of shimmering freshwaters. Peachy pinks and gold tones are complemented by refreshing blues and earth-toned browns. This palette offers a bold and natural range of shades for every occasion. Apply shades dry for a subtle look or wet for a more intense color effect. A specially chosen array of gentle and bold toned eyeshadows that together exemplify beauty and grace. Apply shades either dry for a subtle look or wet for a more intense color effect. 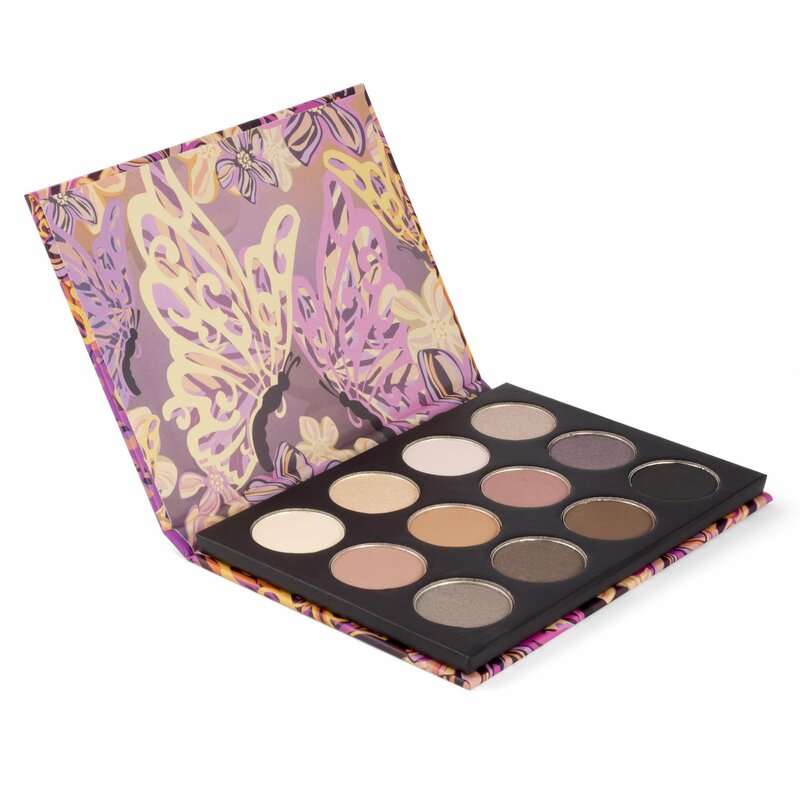 A specially chosen array of colorful and neutral toned eyeshadows inspired by the exuberance of a butterfly. Apply shades either dry for a subtle look or wet for a more intense color effect. 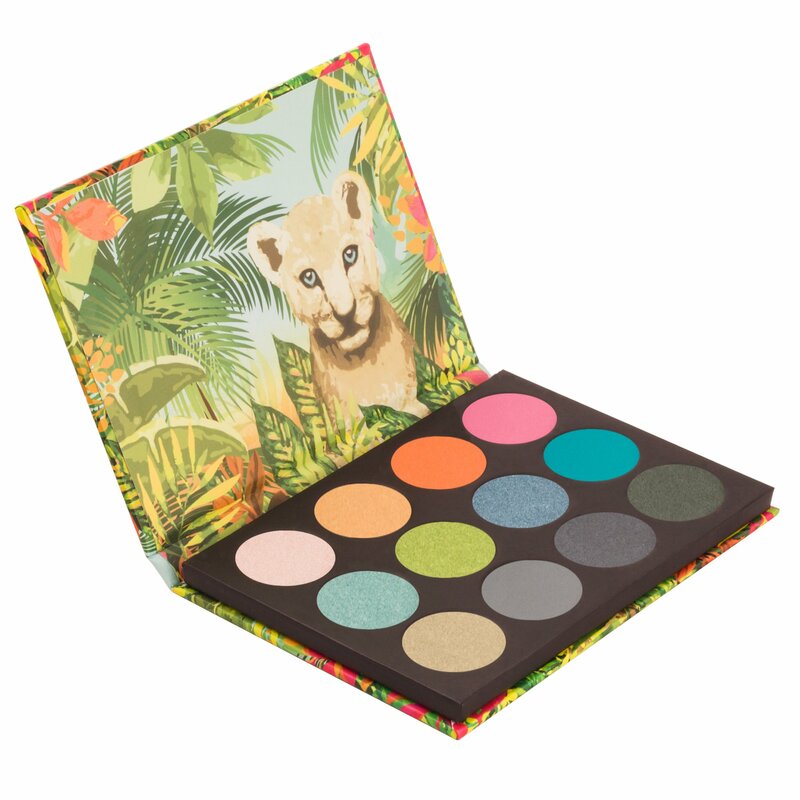 Experience a bold and vivid array of eyeshadows inspired by colorful dreams and the richness of an adventurous safari. Apply shades either dry for a subtle look or wet for a more intense color effect. 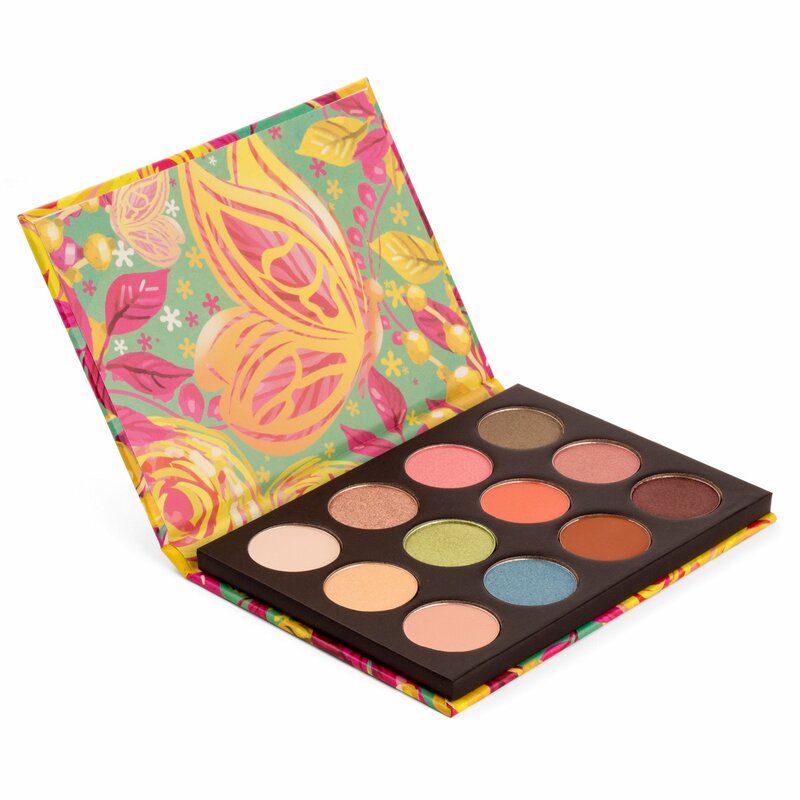 A specially chosen array of warm and subtle toned eyeshadows that exemplify the essence and vibrance of a naturally flourishing garden. Apply shades either dry for a subtle look or wet for a more intense color effect. 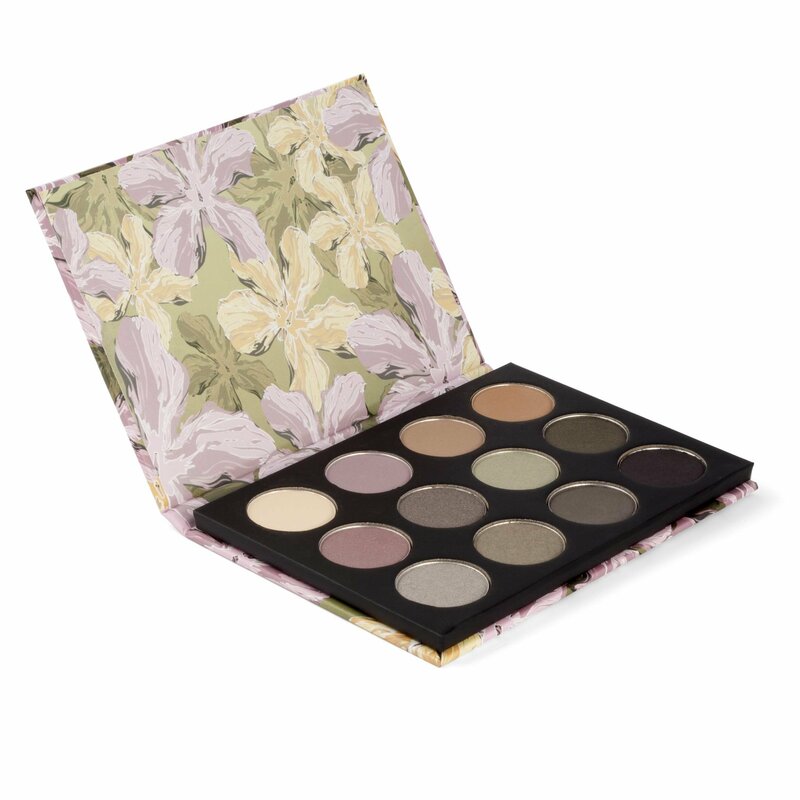 A specially chosen array of neutral and fuchsia toned eyeshadows exemplify grace with a colorful bouquet of a majestical garden. Apply shades either dry for a subtle look or wet for a more intense color effect. A specially chosen array of warm and cool toned eyeshadows that complement the essence and all of the possibilities of a Summer day. Apply shades either dry for a subtle look or wet for a more intense color effect. Girlish baby pinks, frosty pastels, and flirty fuchsias beckon for some serious girl time. Twelve sweet-n-sultry eye shadow pots magnetically fit into the mirrored case for easy color replacement or customization. Apply eye color either dry for a sweetly subtle look or wet for a powerfully pretty effect. Pink isn’t just a color, it’s an attitude. All 12 magnetic hot pot shades can be purchased individually as Hot Pots to refill or you can create your own combinations. The Think Pink Palette includes a mirrored case. Packed with twelve highly-pigmented, berry-inspired shades, our Winterberry Palette contains a variety of festive colors for endless possibilities. The shades are a combination of shimmers and satin shadows that can be applied dry or wet to create a deeper, longer lasting effect. Ingredients: Talc, Mica, Mineral Oil Kaolin, Titanium Dioxide Magnesium Stearate, o-cymen-5-ol. May Contain: Mica and Titanium Dioxide, Iron Oxides, Manganese Violet, Ultramarine Blue, Chrome Oxide Greens Hydrated Chrome Oxide Green, FD&C Red No.40 Al Lake, FD&C Yellow No.5 Al Lake, FD&C Blue No.1 Al Lake. Lose yourself in a mirage of color! Alike the great Sahara, a mysterious desert color story awaits within this rich eye shadow palette. Transport yourself instantly with this inspiring collection of 88 shades of golden ambers, sandy dune neutrals, henna reds, and green-blues. With endless hues, it is easy to get lost within the mystical mirage! 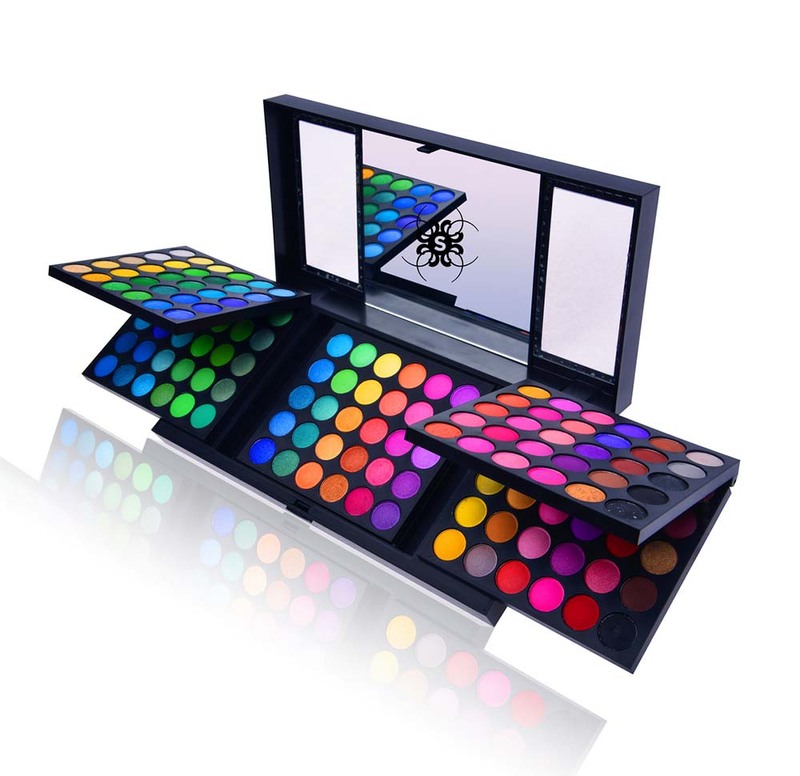 Dimensions: Palette: Length 9.12″ (23.2cm), Width 6.53″ (16.6cm), Height 0.5″ (1.3cm). Mirror: Length 3.11″ (7.9cm), Width 5″ (12.7cm). Eye Shadow Pot Diameter: 0.62″ (1.6cm). Ingredients: Mica, Talc, Titanium Dioxide, Kaolin, Phenyl Trimethicone, Magnesium Stearate, Dimethicone, o-cymen-5-ol. May Contain: Mica and Titanium Dioxide, Iron Oxides, Ultramarine Blue, Manganese Violet, Ferric Ammonium Ferrocyanide, Chrome Oxide Greens, Chrome Hydroxide Green, FD&C Red No.40 A1 Lake, FD&C Yellow No.5 A1 Lake, FD&C Blue No.1 A1 Lake, Made in China. Net Wt: 61g/2.15oz. 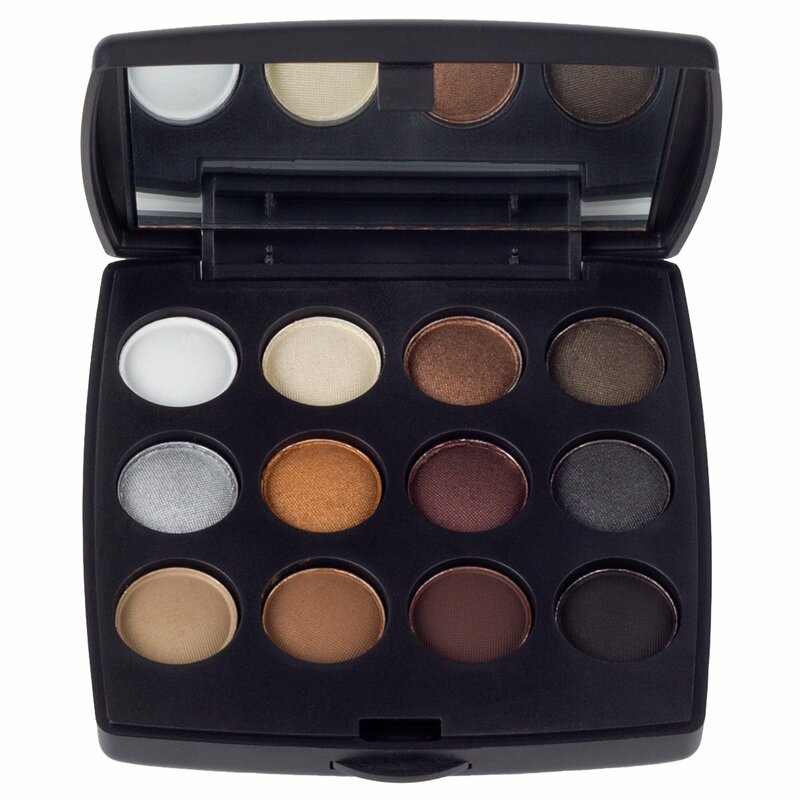 Glamorize your eyes with our Metal Mania Palette! Containing 88 highly-pigmented, metallic eye shadows ranging from sultry neutrals to vibrant pinks, this palette is perfect for creating a variety of looks. All of the shadows are pressed powder and may be applied dry or wet using the dual-tipped foam applicators included, or any eye shadow brush in your collection. Ingredients: Talc, Mica, Mineral Oil, Kaolin, Titanium Dioxide, Magnesium Stearate, Isoprpyl Palmitate, Lanolin, o-cymen-5 ol. May Contain: Mica and Titanium Dioxide, Iron Oxides, Ultramarine Blue, Manganese Violet, Ferric Ammonium, Ferrocyanide, Chrome Oxide Greens, Chrome Hydroxide Green, FD&C Red No. 40 A1 Lake, FD&C Yellow No.5 A1 Lake, FD&C Blue No. 1 A1 Lake. Made in China. Net Wt. 61g/2.15oz. Day to Night! This versatile palette is your go-to classic. Hop seamlessly from school, work, dinner or a special occasion. 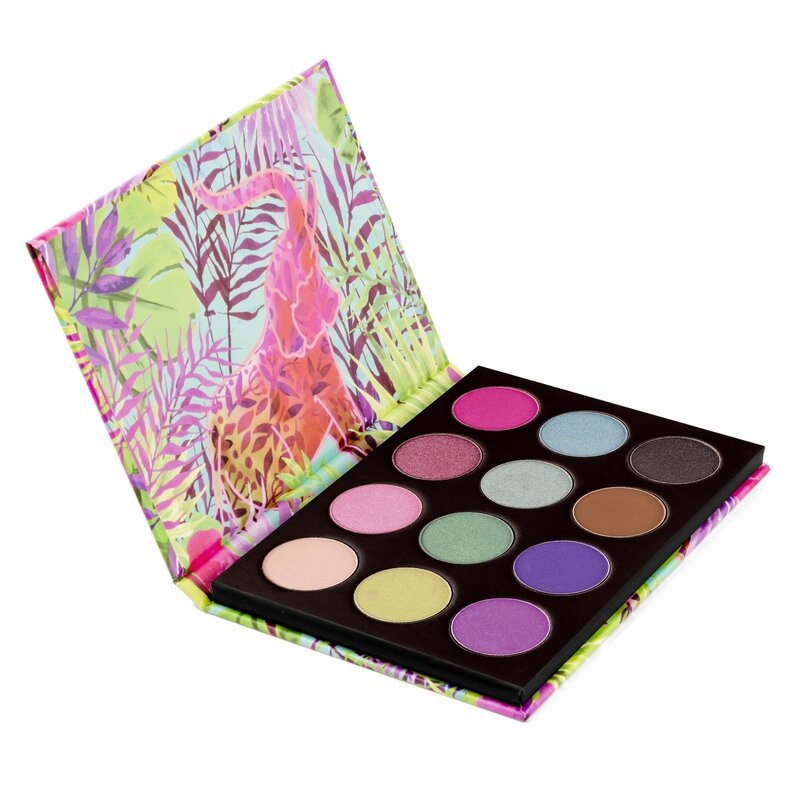 This 88 richly saturated palette, full of matte and satin eye shadows, effortlessly provides casual daytime looks or dramatic evening effects. 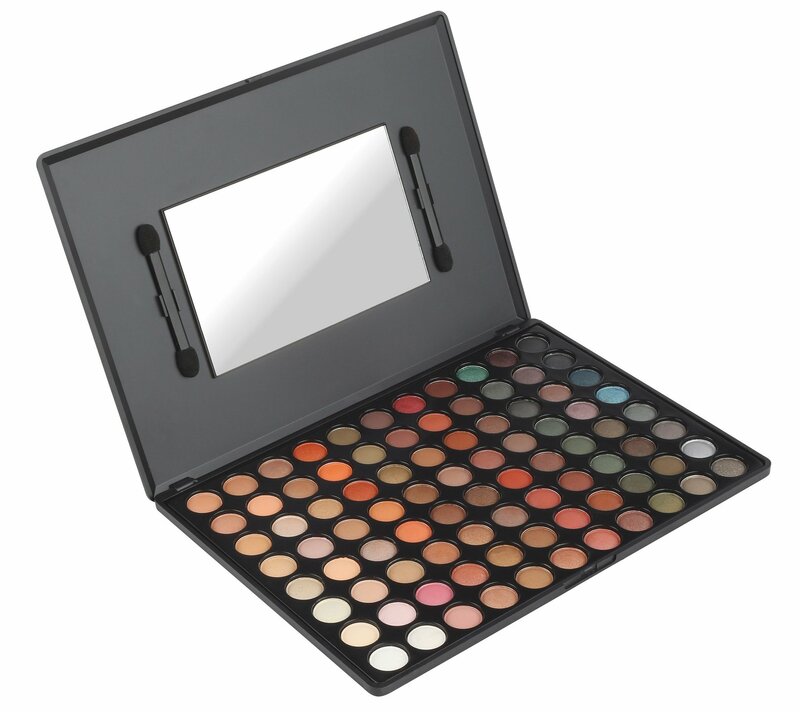 Transform yourself from day to night with this one perfect palette! Ingredients: Talc, Mica, Squalane, Dimethicone, Titanium Dioxide, Magnesium Stearate, Isopropyl Palmitate, Lanolin, o-cymen-5-ol. May Contain: Mica and Titanium Dioxide, Iron Oxides, Manganese Violet, Ultramarine Blue, Chrome Oxide Greens, Hydrated Chrome Oxide Green, FD&C Red No.40 Al Lake, FD&C Yellow No.5 Al Lake, FD&C Blue No.1 Al Lake. Transport yourself… into the rich, exotic color story of Cairo. The sandy desert dunes and the vibrant Egyptian tapestry of colors gleam in both matte and shimmery metallics. 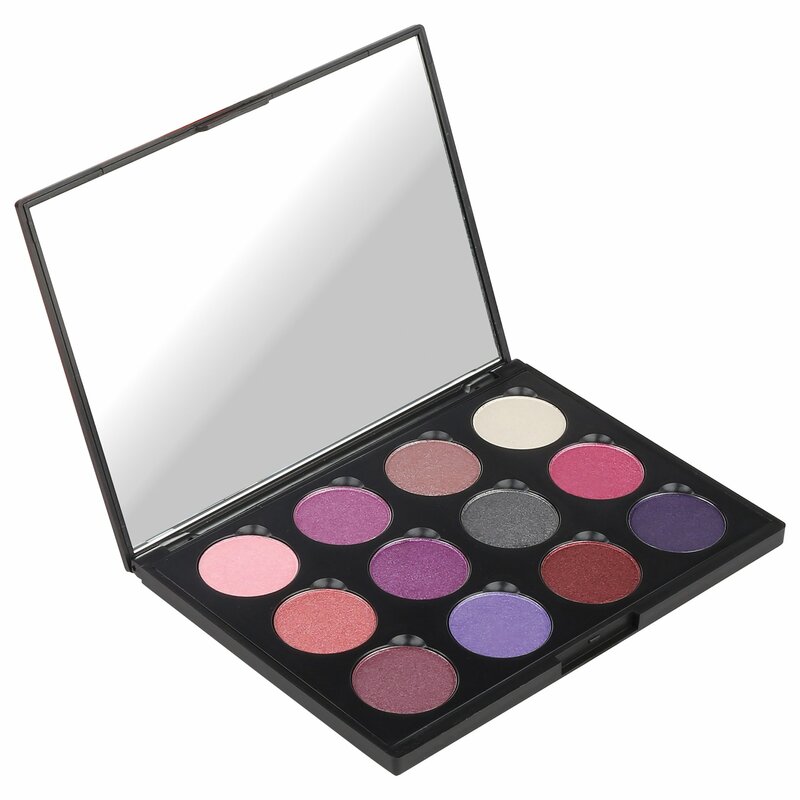 Twelve highly-pigmented eye shadows create sultry Cleopatra eyes and Egyptian makeup mystery. Ingredients: Talc, Mica, Mineral Oil, Phenyl Trimethicone, Kaolin, Titanium Dioxide, Magnesium Stearate, Polymethyl Methacrylate, o-cymen-5-ol. May Contain: Mica and Titanium Dioxide, Iron Oxides, Manganese Violet, Ultramarine Blue, Chrome Oxide Green, Hydrated Chrome Oxide Green, FD&C Red No.40 Al Lake, FD&C Yellow No.5 Al Lake, FD&C Blue No.1 Al Lake. Ferric Ammonium Ferrocyanide. First things first! 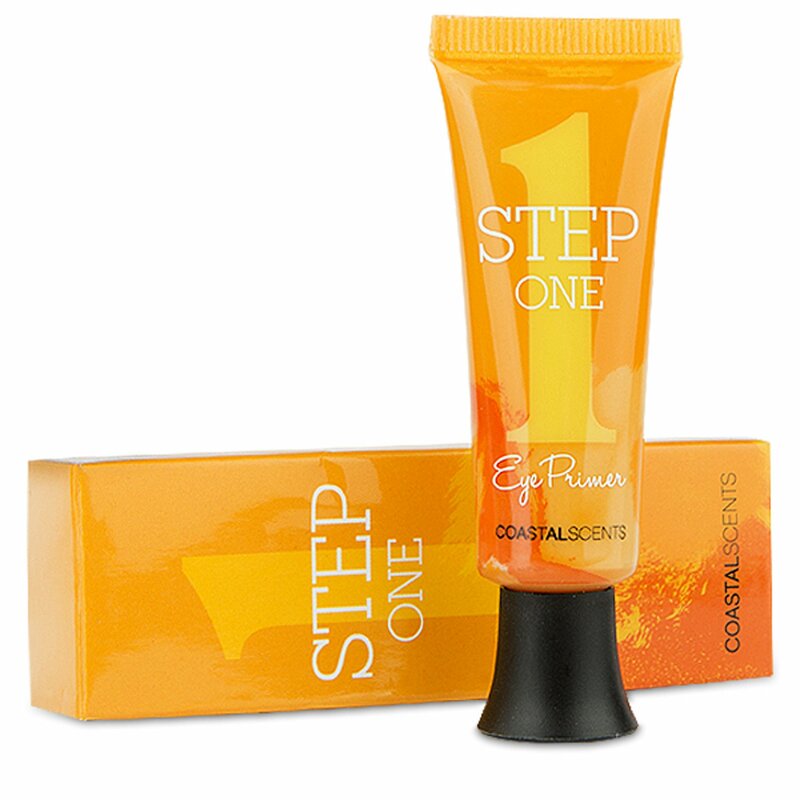 Step One—a perfect primer for your eye makeup application. Begin with a flawless canvas, on which to create lasting eye shadow color with crease-free, fade-free and smudge-proof longevity. Create a base on your eyelid before applying eye shadows–and prepare for some serious eye makeup wow-factor! 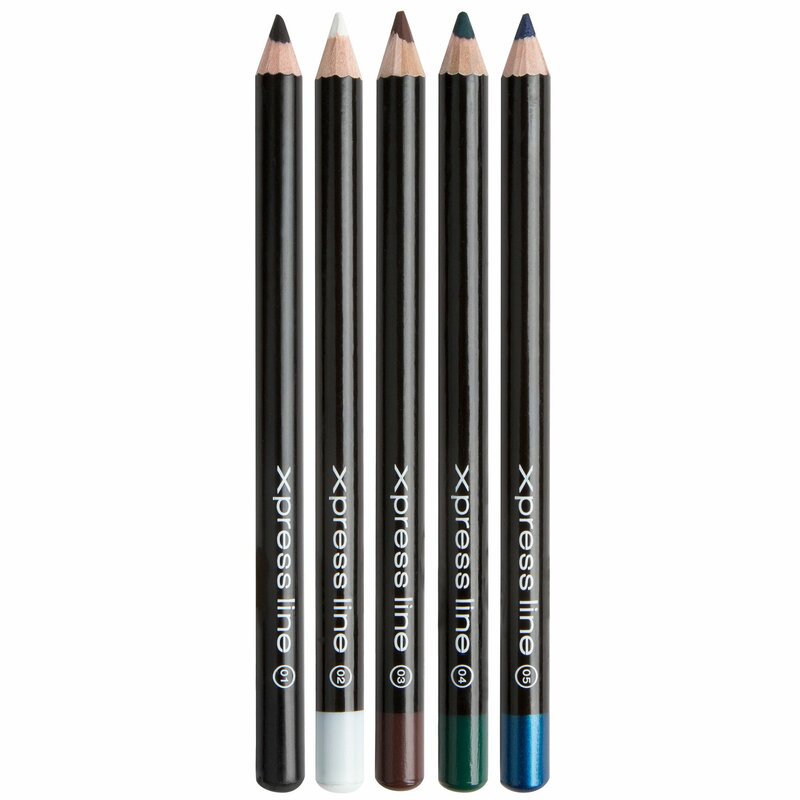 Xpress Line pencils are for anywhere you want xtra color, xpressive highlights, and xact definition. 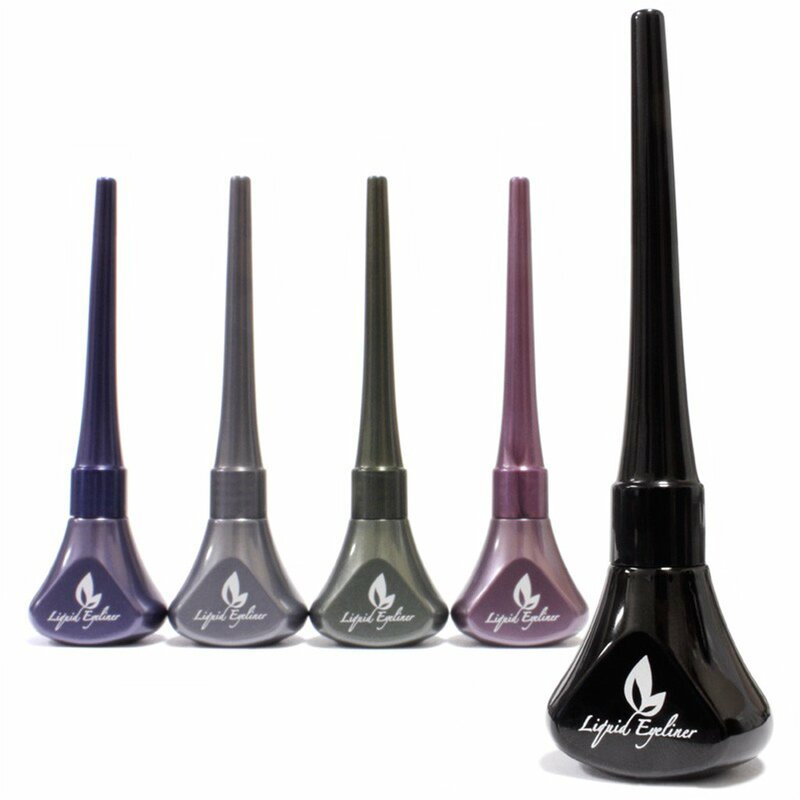 Whether it’s lips, eyes, brows or cheeks, this long-lasting formula and brilliant color delivers! Ingredients: Beeswax, Ceresin, Microcrystalline Wax, Isopropyl Palmitate, Carnauba Wax, Caprylic/Capric Triglyceride. May Contain: Titanium Dioxide (CI 778991), Iron Oxides (CI 77491, CI 77492, CI 77499), Blue 1 Lake (CI 42090), Mica. 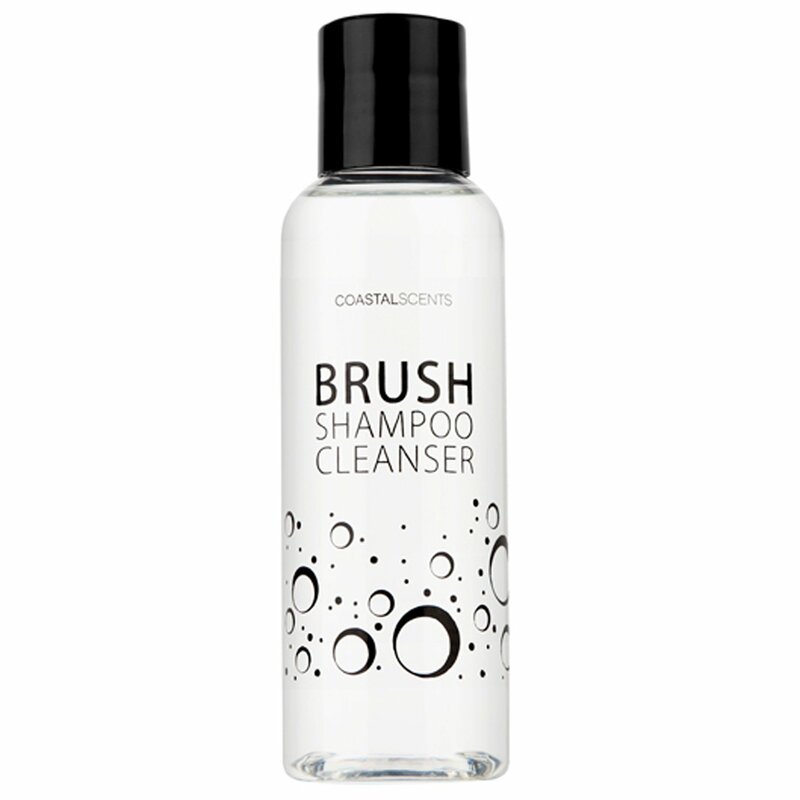 Ingredients: Water (Aqua\Eau), Cyclopentasiloxane, Propylene Glycol, Butylene Glycol, Polymethylsilsesquioxane, Dimethicone, PEG/PPG-18/18 Dimethicone, Hydrogenated Polyisobutene, Humulus Lupulus (Hops) Extract, Glycyrrhiza Glabra (Licorice) Root Extract, Citrus Grandis (Grapefruit) Seed Extract, Chamomilla Recutita (Matricaria) Extract, Sodium Hyaluronate, Isostearyl Neopentanoate, Simmondsia Chinensis (Jojoba) Seed Oil, Persea Gratissima (Avocado) Oil, Pentaerythrityl Tetraethylhexanoate, Lecithin, Magnesium Ascorbyl Phosphate, Disteardimonium Hectorite, Polysilicone-11, Alumina, Polyglyceryl-4 Isostearate, Hexyl Laurate, Cetyl PEG/PPG-10/10 Dimethicone, Propylene Carbonate, Laureth-4, Sodium Chloride, Disodium EDTA, Phenoxyethanol. May Contain: Titanium Dioxide (CI 77891), Iron Oxides (CI 77491, CI 77492, CI 77499), Mica (CI 77019). Ingredients: Aqua (Water), Decamethylcyclopentasiloxane, Dimethicone, Hyaluronic Acid, Dipolyhydroxystearate, Phenoxyethanol. May contain: Mica, Titanium Dioxide, Iron Oxides, Manganese Violet, FD&C Red No.40 Al Lake, FD&C Yellow No.5 Al Lake. Get sharp—and to the point! This premium sharpener, made in Ireland, is adaptable for almost all cosmetic pencil sizes. It sharpens cosmetic pencils to a precise point, and includes a cleaning tool and a dual shaving collection chamber. 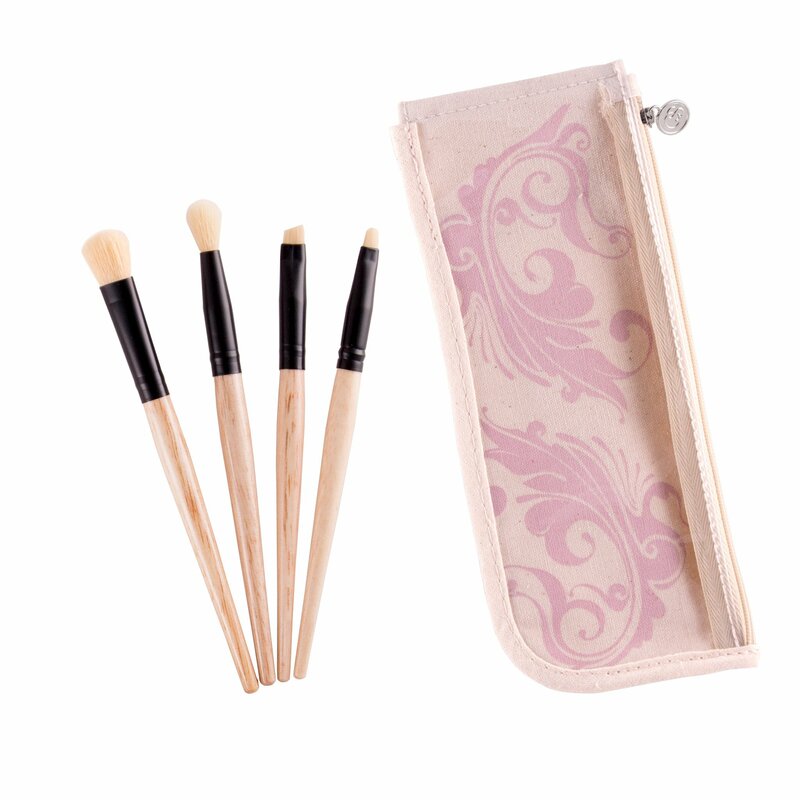 A must-have for every makeup kit and cosmetic case! 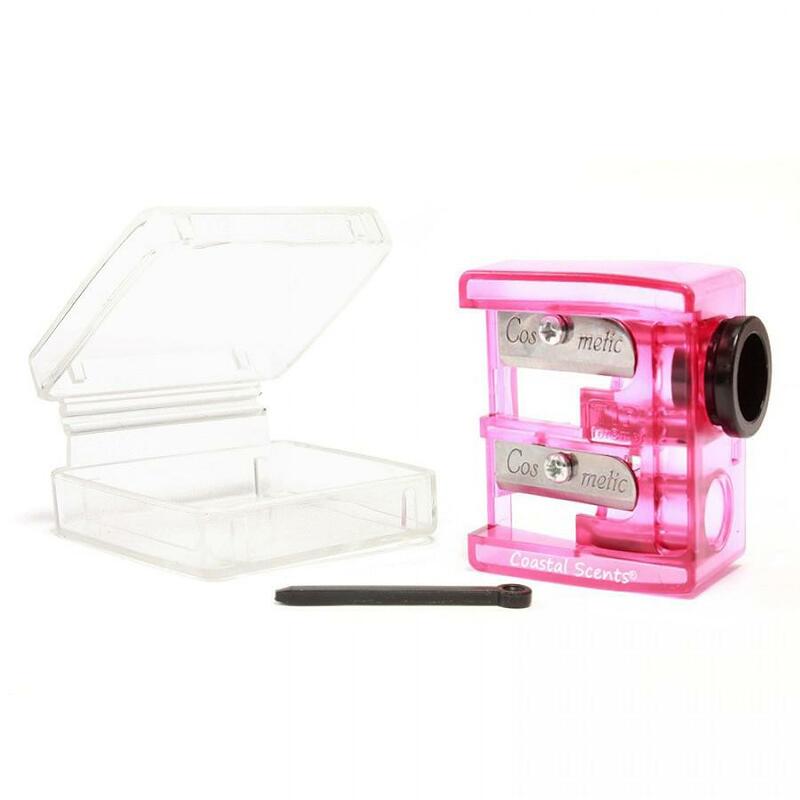 The enclosed chamber makes for sharpening-on-the-go clean and easy–keeping your lip and eye pencils perfectly pointed! Achieve the envious arch! Flawless, perfectly polished brows are effortless with these four shades. Precisely shape, sculpt, and fill brows with ease using the mini dual ended brush. 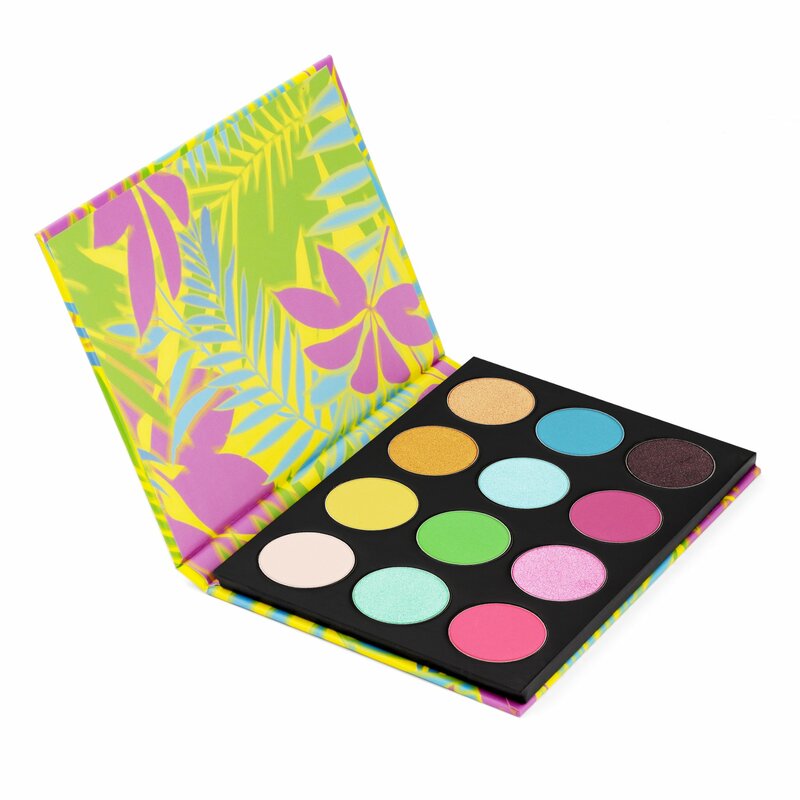 This palm-sized palette fits perfectly into any makeup or handbag making on-the-go touch ups a breeze. 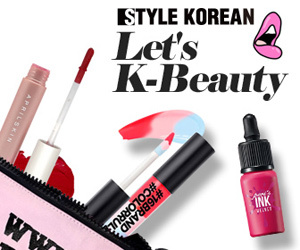 Everything for a beautiful face… all in one place! Bronzers for amazing overall skin tone, contouring tones for well-defined cheekbones, and blushes for just the right finishing touch. 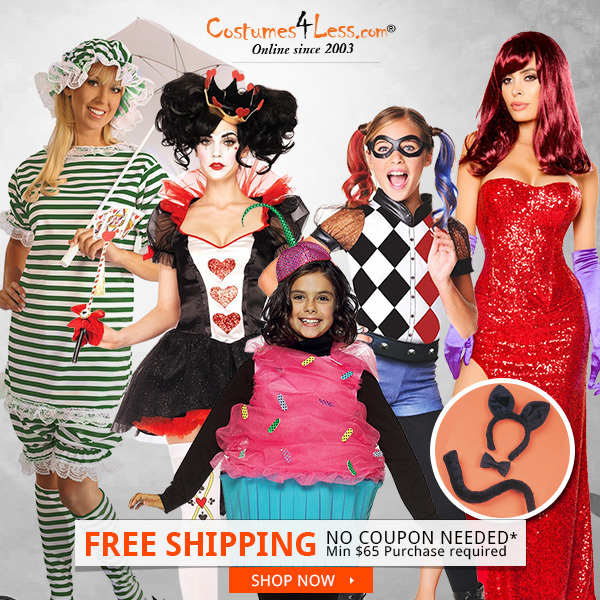 Mix and match combinations… blend colors together! It’s all about your creativity. It’s all about your look. Ingredients: Mica, Magnesium Myristate, Silica, Magnesium Stearate, Nylon-12, Bismuth Oxychloride, Dimethicone, Ethylhexyl Palmitate, Tocopheryl Acetate, Phenoxyethanol, O-Cymen-5-OL, May Contain: Iron Oxide Red, Red 40 Lake, Titanium Dioxide, Iron Oxide Yellow. “About face!” Whether at home or jet-setting across the world, this all-in-one palette makes it convenient and easy to create any look you desire. 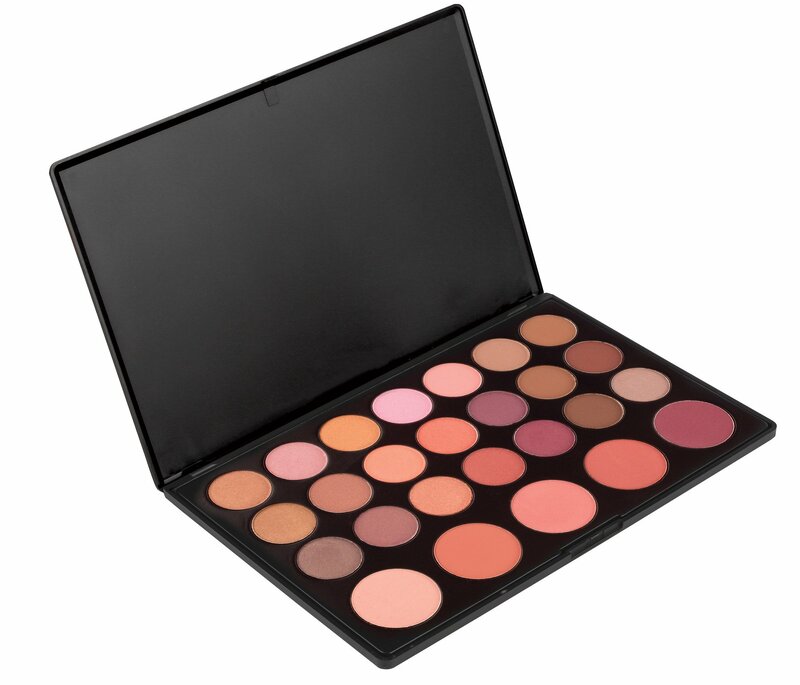 Our 78 Shadow Blush Palette contains sixty highly-pigmented matte and shimmery eye shadows in a wide range of colors from wearable neutrals to vibrant hues. Also included in this palette are twelve highlight/liner shades that are perfect for creating dimension and enhancing your look. The six gorgeous matte and shimmer blush/bronzers add warmth and a natural glow. 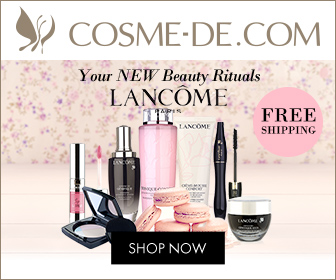 Ingredients: Eyeshadow: Talc, Mica, Mineral Oil, Kaolin, Titanium Dioxide, Magnesium Stearate, o-cymen-5-ol. May Contain: Mica and Titanium Dioxide, Iron Oxides, Manganese Violet,Ultramarine Blue, Chrome Oxide Green,Hydrated Chrome Oxide Green,FD&C Red No.40 Al Lake, FD&C Yellow No.5 Al Lake, FD&C Blue No.1 Al Lake. Blush: Talc, Mica, Mineral Oil, Kaolin, Titanium Dioxide, Magnesium Stearate, o-cymen-5-ol. May contain: Mica and Titanium Dioxide, Iron Oxides, Ultramarine Blue, D&C Red No.6 Ba Lake, D&C Red No.27 Al Lake. FD&C Yellow No.5 Al Lake. Sunshine, shadow and shimmer! 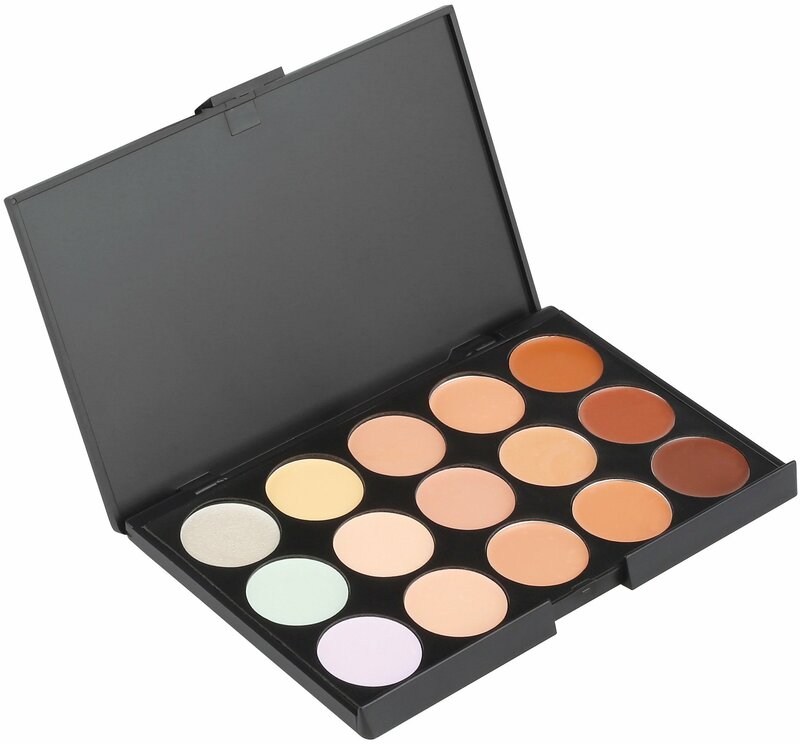 Twenty-six shadow and blush options fill this comprehensive makeup artist’s palette. Endless looks await you with a variety of colors from neutral and natural to sultry and sassy. Just think of it as your go-to palette for some extra warmth! Ingredients: Talc, Mica, Mineral Oil, Kaolin, Titanium Dioxide, Magnesium Stearate, Mineral Oil, o-cymen-5-ol. May Contain: Mica and Titanium Dioxide, Iron Oxides, Ultramarine Blue, Manganese Violet, Ferric Ammonium Ferrocyanide, Chrome Oxide Green, Chrome Hydroxide Green, FD&C Red No.40 Al Lake, FD&C Yellow No.5 Al Lake, FD&C Blue No.1 Al Lake. Ingredients: Talc, Mica, Mineral Oil, Kaolin, Titanium Dioxide, Magnesium Stearate, o-cymen- 5-ol. May Contain: Mica and Titanium Dioxide, Iron Oxides, Ultramarine Blue, FD&C Red No.40 Al Lake, FD&C Red No.7, Ca Lake, FD&C Yellow No. 5 AI Lake, FD&C Blue No.1 AI Lake. Made in China. Think sleek! 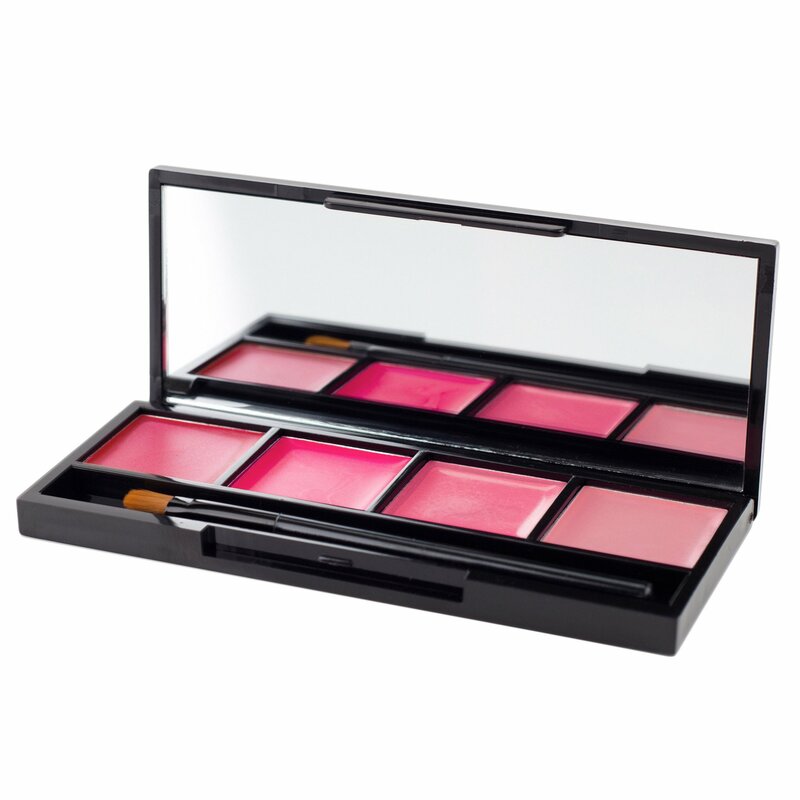 Create your ideal face in three easy steps with our Sleek Silhouette Palette. This all-in-one palette allows you to slim, contour, highlight, and complement your most beautiful features while minimizing ones you would rather conceal. 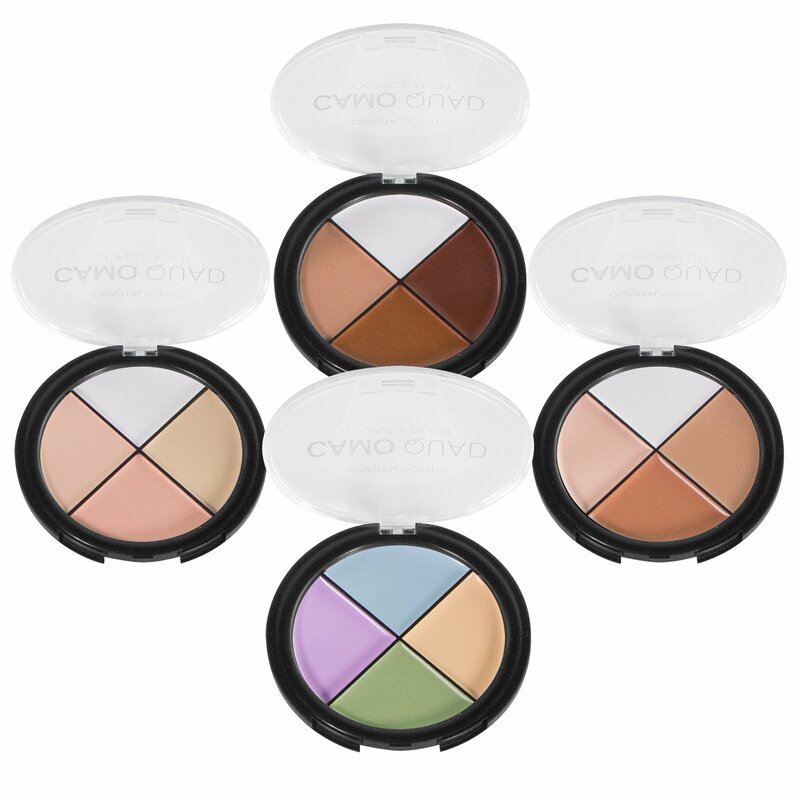 The variety of pressed powder shades are beneficial to all skin tones and face shapes. Whether you want to narrow your nose and forehead or accentuate your cheekbones, this palette offers the ideal tools to leave your appearance looking illuminated, sculpted, and lifted. Ingredients: Talc, Mica, Kaolin, Magnesium Stearate, Titanium Dioxide, Tridecyl Trimellitate, Octyldodecyl Stearoyl Stearate, Caprylyl Glycol, Squalane, Polymethyl Methacrylate, o-cymen-5-ol. May contain: Iron Oxides, Ultramarines, D&C Red #21, Red 27 Al Lake, D&C Red #33, and FD&C Yellow 5 Al Lake. Ingredients: Ethylhexyl Palmitate, Tridecyl Trimellitate, Hydrogenated Polyisobutene, Polyethylene, Microcrystalline Wax, Synthetic Beeswax, Silica Dimethyl Silylate, Talc, Octyldodecanol, Phenoxyethanol, Ethylhexylglycerin. Made in China. We’ve got you covered—literally. Neutralize under eye halos, conceal blemishes, banish breakouts, and reduce redness with fifteen cream-based shades. Designed to conceal, highlight, and custom blend to your skin tone, watch your flaws disappear. -The white/silver shade can be used as a highlighter to add sheen to cheekbones, nose and eyes. Ingredients: Ethylhexyl Palmitate, Titanium Dioxide, Squalane, Polymethyl Methacrylate, Cyclomethicone, Beeswax, Petrolatum, Talc, Ozokerite, Sorbitan Oleate, Tocopheryl Acetate, o-cymen-5-ol. May Contain: Mica and Titanium Dioxide, Iron Oxides, D&C Red No.27 Al Lake, FD&C Red No.40 Al Lake, FD&C Yellow No.5 Al Lake, Ultramarine Blue, FD&C Blue No.1 Al Lake. 4. 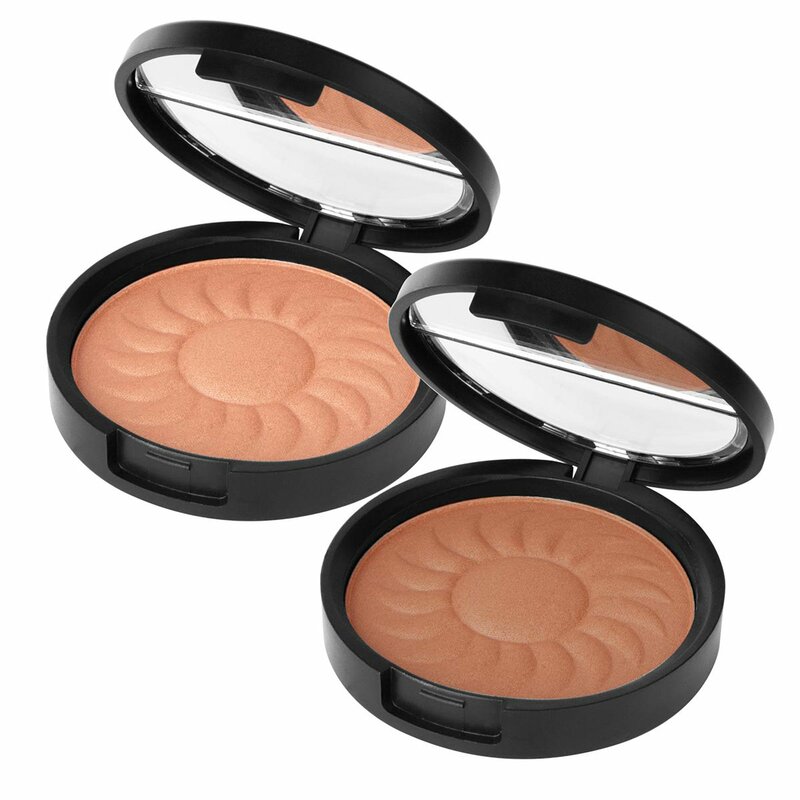 Add an instant sun-kissed look to fair or medium skin tones with Sun Tones. Step 1: Clean and moisturize skin where you wish to apply your bronzer. Wait at least five minutes for the moisturizer to absorb prior to proceeding. Step 2: Swirl brush into powder and tap bottle of the handle to distribute powder into the fibers. If needed, tap the side of the handle on a disposable cloth to remove any excess powder. 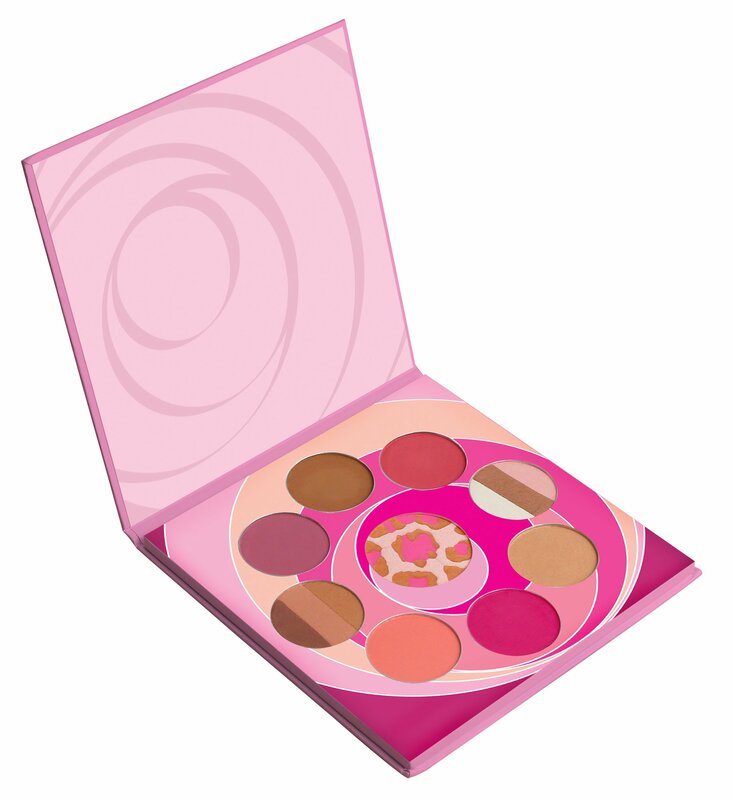 Step 3: Apply bronzer to face, décolleté, or body using a gentle, circular motion. Step 4: Repeat until you achieve your desired shade. Step 5: A soft cloth can be used to tone-down and remove any excess color upon completion, by applying light and even pressure. Ingredients: Talc, Mica, Magnesium Stearate, Kaolin, Dimethicone, Phenyl Trimethicone, Capryl Glycol, Silica, o-cymen-5-ol. May contain: Mica and Titanium Dioxide, Iron Oxides, FD&C Yellow No.6, FD&C Red 40 Al Lake, FD&C Yellow 5 Al Lake, FD&C Blue No.1. Made in China. Distributed by K-PLEX, LLC, USA. Give your lips a vibrant splash of shine! 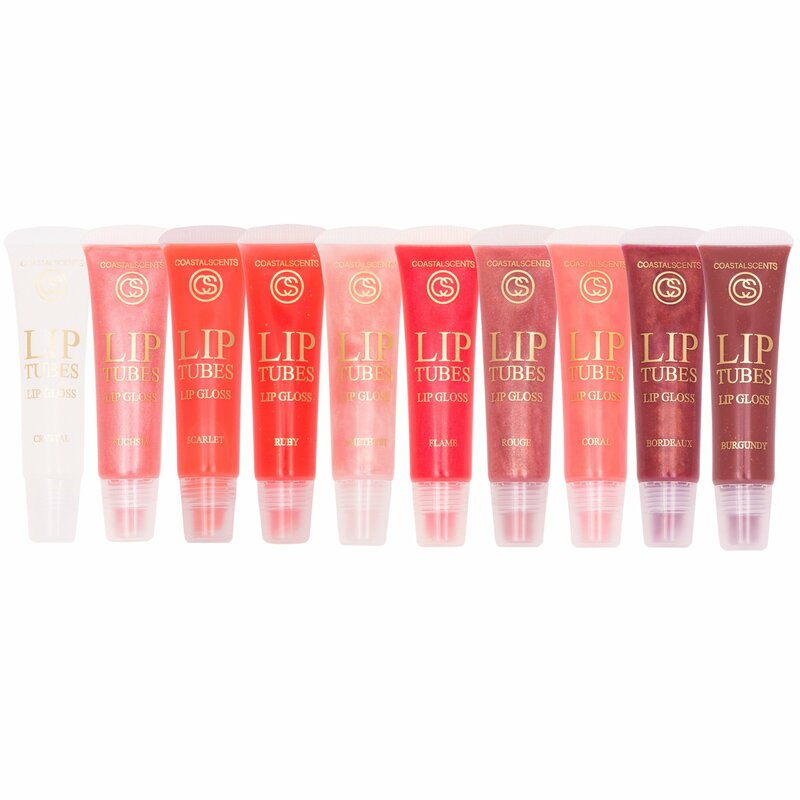 Lip Tubes are available in ten dynamic hues specially designed to wow! Ingredients: Tridecyl Trimellitate, Polybutene, Hydrogenated Polyisobutene, Hydroxystearic Acid, Diisostearyl Malate, Tocopheryl Acetate, Silica Dimethyl Silylate, O-Cymen-5-OL, Parfum HK142470 (Vanilla), May Contain: Mica, Titanium Dioxide, Red 27 Lake, D&C Red No.7 Ca Lake, Iron Oxide Yellow, Iron Oxide Black, Iron Oxide Red. Made In China. Ingredients: Ceresin Wax, Microcrystalline Wax, Carnauba Wax, Polyethylene Wax, Petroleum Jelly, Bis-Diglyceryl Polyacyladipate-2, Polybutene, Ethylhexyl Palmitate, Octyldodecanol, Tocopheryl Acetate, Ascorbyl Palmitate, Ethylhexylglycerin, BHT. May Contain: Mica, Titanium Dioxide, Diisostearyl Malate, Iron Oxides, D&C Red No.6 Ba Lake, D&C Red No.7 CA Lake, D&C Red 21 Al Lake, D&C Red 27 Al Lake, D&C Red No.33, FD&C Red 40 Al Lake, FD&C Yellow 5 Al Lake, FD&C Blue No.1 Al Lake. 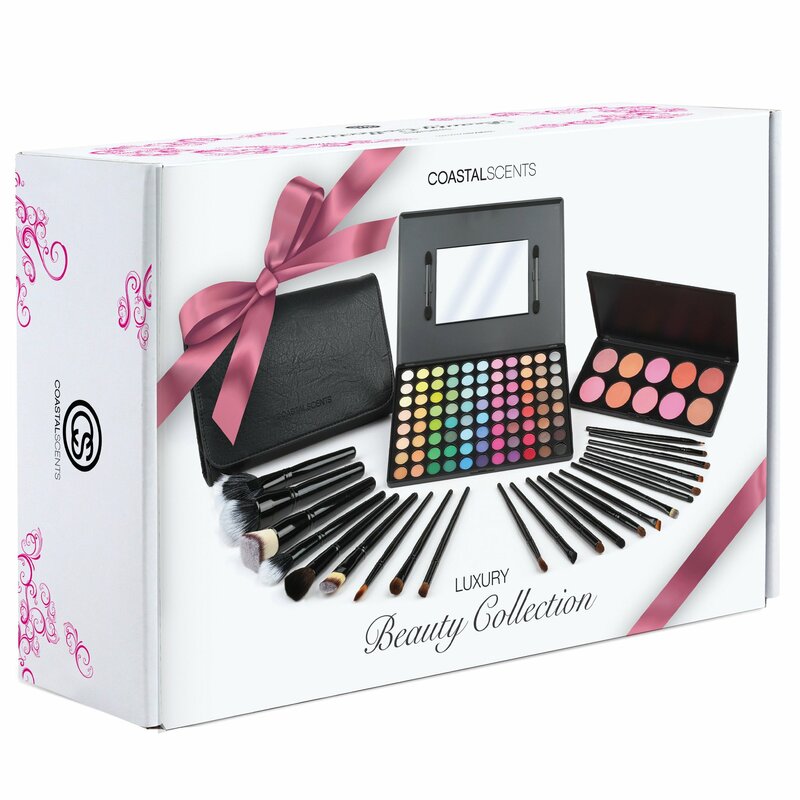 The Beauty Collection- Luxury is a beautifully packaged set of makeup and brush products any makeup lover would want! Perfect for any gift-giving occasion! 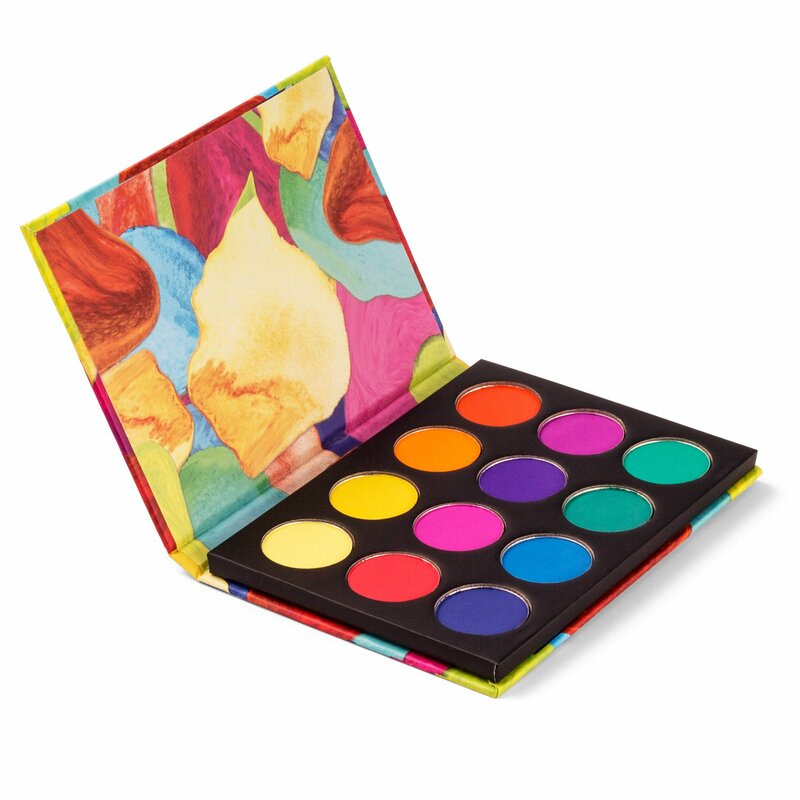 An extensive collection of vibrant, highly-pigmented shadows in a matte or satin finish. 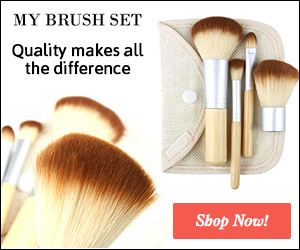 A complete collection of luxury makeup brushes used by the pros. 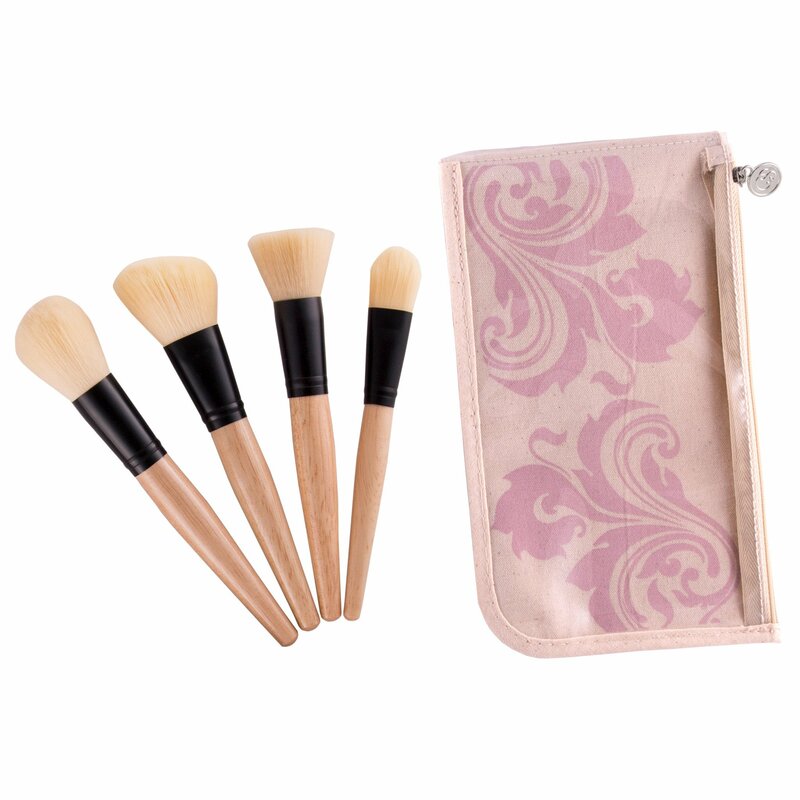 This set includes the following brushes:Large Fan (Synthetic), Powder Buffer (Synthetic), Round Powder (Synthetic), Flat Buffer (Synthetic), Angle Blush (Natural Hair), Foundation (Natural Hair), Concealer (Synthetic), Large Shadow (Natural Hair), Blender (Natural Hair), Doe Foot Blender (Natural Hair), Dome Shadow (Natural Hair), Dome Blender (Natural Hair), Medium Shadow (Natural Hair), Detail Shadow (Natural Hair), Lip (Natural Hair), Detail Concealer (Synthetic), Pointed Blender (Natural Hair), Brow (Natural Hair), Smudger Sponge (Rubber), Large Liner / Brow (Synthetic), Medium Liner / Brow (Synthetic), Small Liner / Brow (Synthetic). 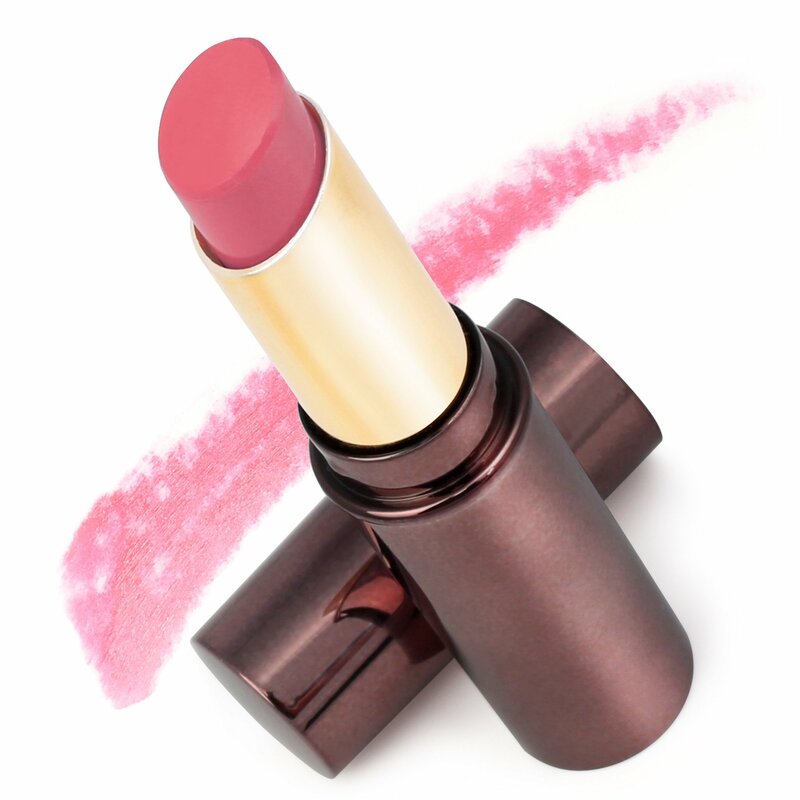 Chock-full of cool and warm blush tones offers silky matte and satin finishes. Experience The Ultimate Revealed Collection. 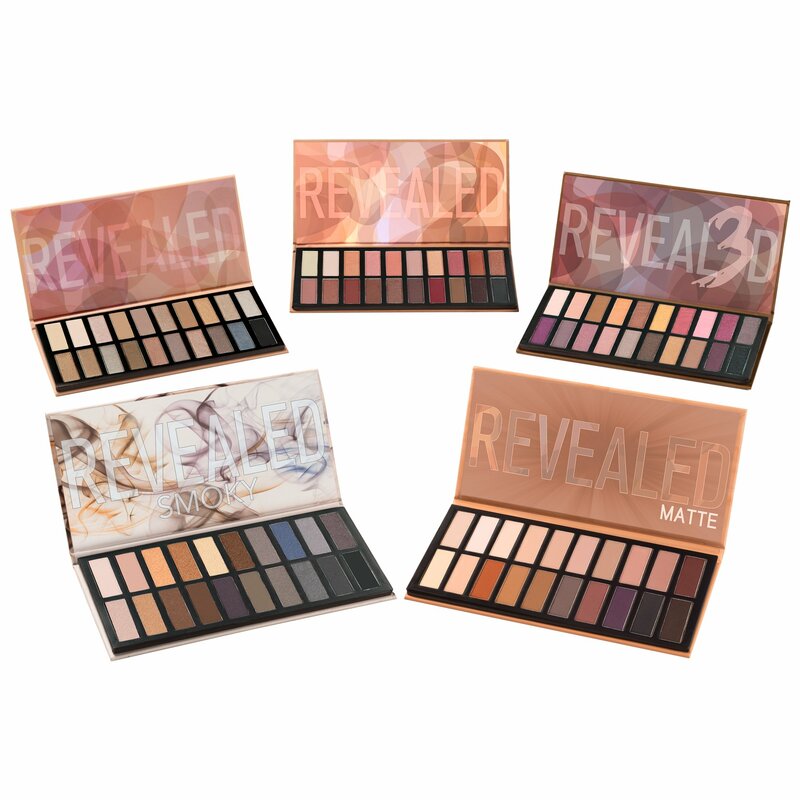 5 Palettes from the illustrious Revealed line are included in this set. 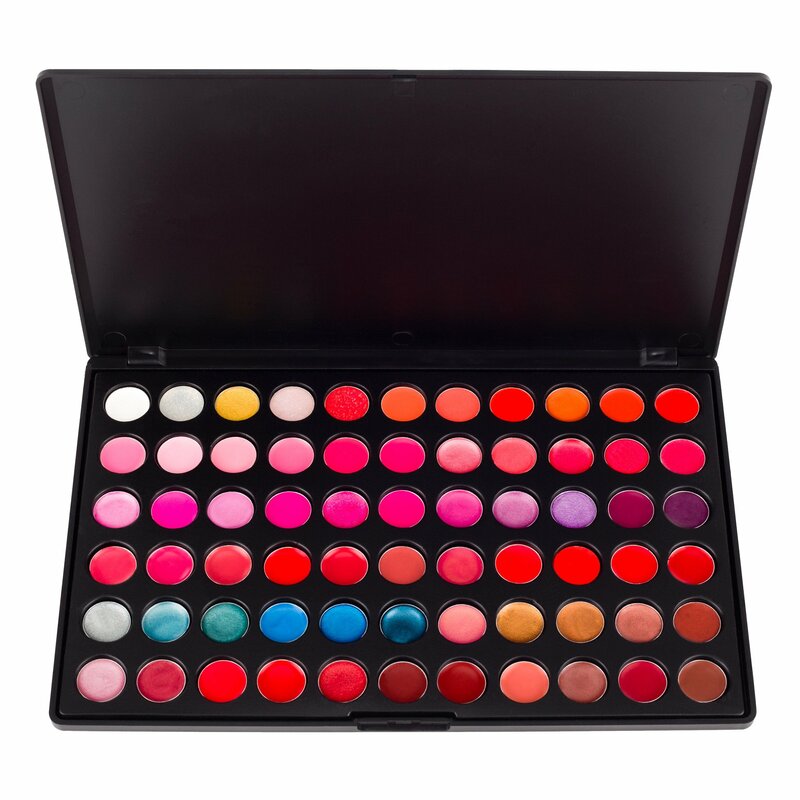 Over 100 eyeshadows deliver an incredible array of colors to create any look. This exclusive Pearl Brush Set contains 16 elegant, pearlesque-handled brushes. The soft, dual-toned synthetic bristles are perfect for creating a wide variety of looks. 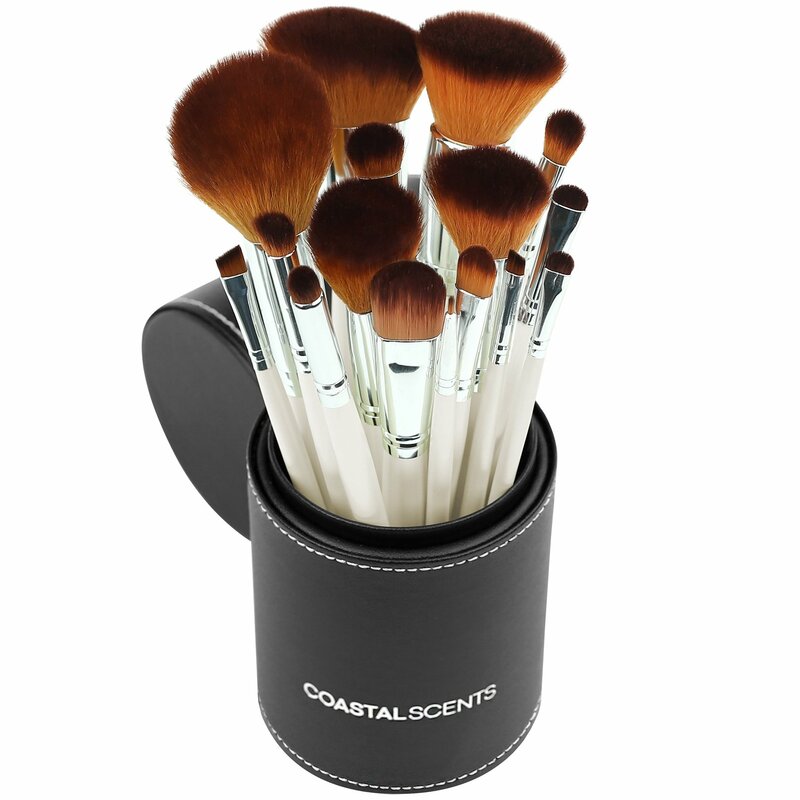 All brushes are contained in a stylish leatherine case which doubles as a secure traveling companion and a convenient brush holder. Dimensions: CASE Height 8.5″ (21.6 cm), Diameter 3.75″ (9.53 cm). All dimensions are approximate. 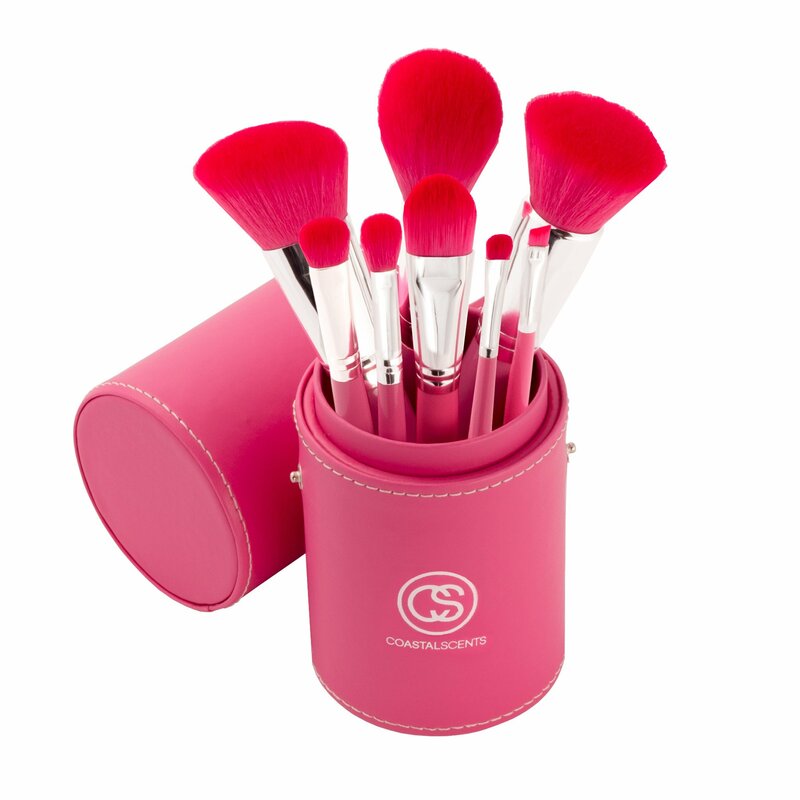 This sophisticated brush set contains eight elegant, pink handled brushes. The soft, synthetic bristles are perfect for creating a wide variety of looks. 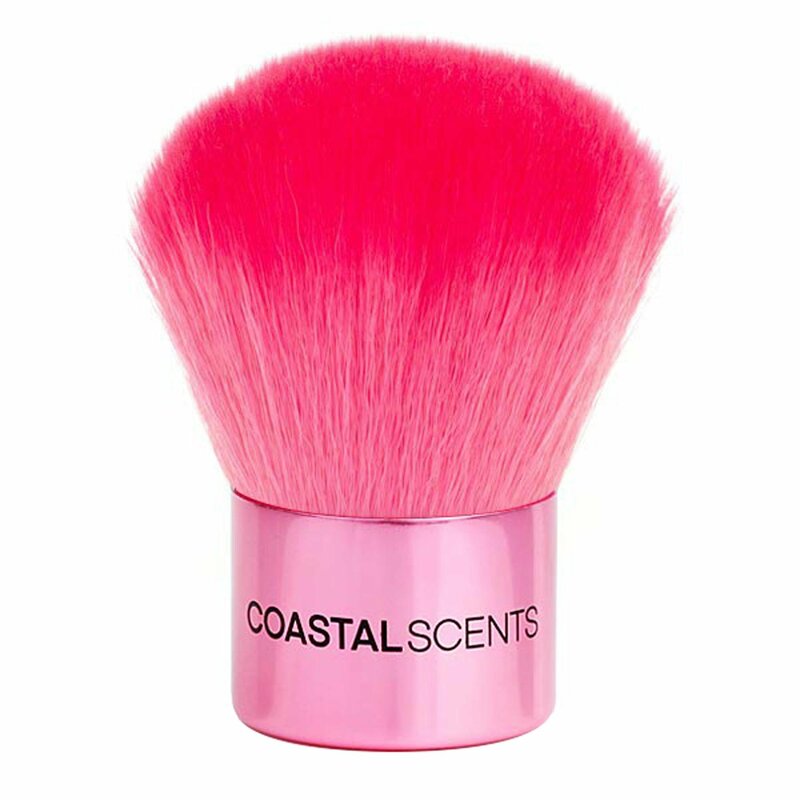 All brushes come in a stylish, matching pink leatherine case which doubles as a secure traveling companion and a convenient brush holder. Dimensions: Height: 7.75″ (19.685cm), Width: 3″ (7.62cm) All dimensions are approximate. The Elite Brush Set is an extensive collection of professional quality, cosmetic brushes to create any look, from a flawless complexion to gorgeous, smoky eyes. This top notch set features twenty-four exquisite bamboo-handled brushes that oﬀer both superb durability and craftsmanship. 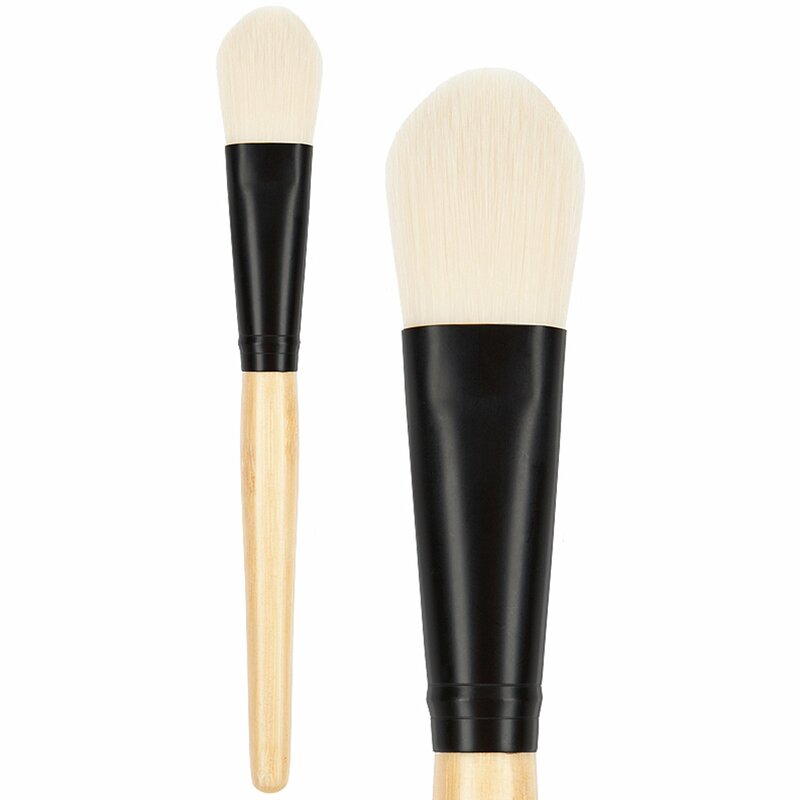 Each brush has a matte, black ferrule that holds the softest, lush, white, synthetic bristles which are excellent for applying both, dry and liquid products. 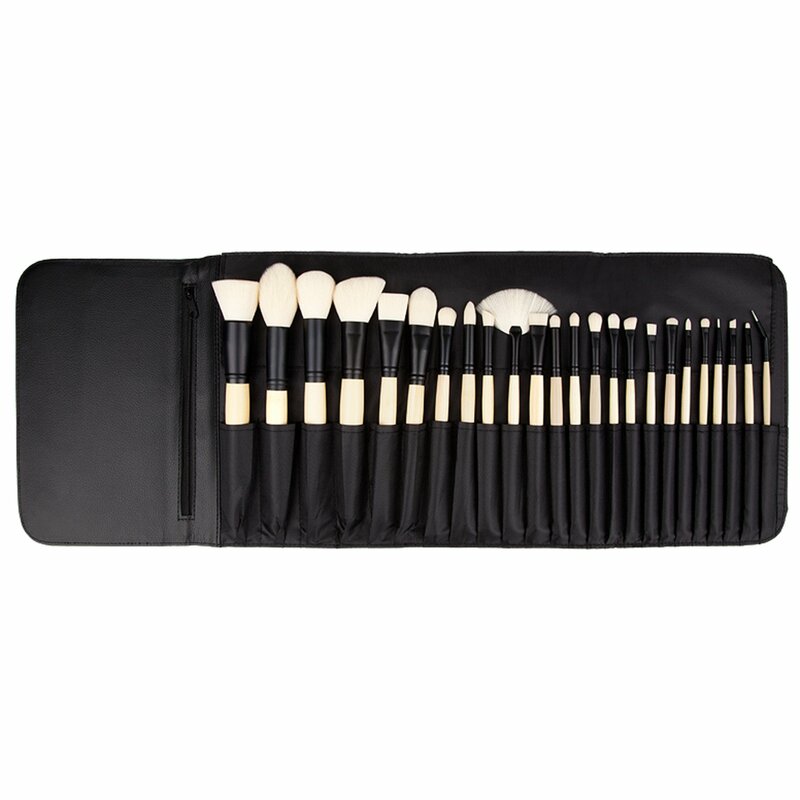 All 24 brushes are packaged in a leatherine case that can fold up and be secured with magnets, allowing for easy travel and storage. Dimensions: OPENED Length: 26.25″ (66.68 cm), Width: 9.50″ (24.13 cm), Height: 0.50″ (1.27 cm) CLOSED Length: 6.25″ (15.89 cm), Width: 9.50″ (24.13 cm). All dimensions are approximate. The 4 Face Brush Set has the most essential brushes for every look you can imagine. These beautiful oak-handled brushes feature contrasting black ferrules, and wonderfully lush synthetic bristles. All enclosed in a zip up canvas case with snap closure pocket on the back. Perfect for on-the-go use! Dimensions: Length: 10.63″ (27 cm), Width: 5.51″ (14 cm), Height 0.75″ (1.9 cm). All dimensions are approximate. Made in China. Dimensions: Length: 8″ (20.32cm) Width: 3.33″ (8.46cm) Height:0.75″ (1.91cm). All dimensions are approximate. Made in China.